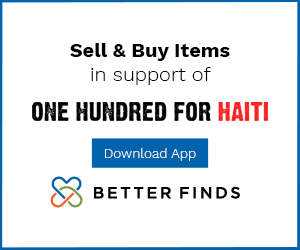 In a combination of inspiration, transformation and ideas for taking action, the speaking programs offered to conferences, meetings, and organizations by the team of One Hundred For Haiti are guaranteed to motivate and consolidate your audience behind a powerful cause. We have experienced presenters from a variety of backgrounds on our team and we can work with you to determine who would be best for your group. 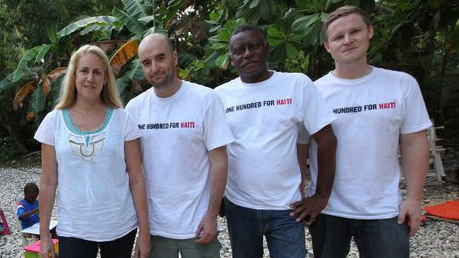 We can offer ideas to your group, inclusive of stories of volunteerism, compassion, and focus from the field. 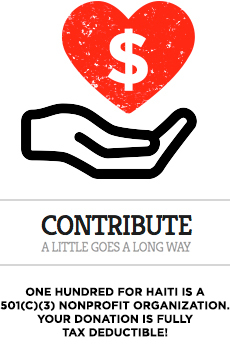 We can also tie your organization into an action campaign on a specific One Hundred For Haiti initiative. Your people get involved not only during the presentation with their feedback and thoughts, but after as well as they expand their ideas on working together and communicating effectively, with a specific goal in mind for the people served by One Hundred For Haiti. Our followup with your group is thorough and detailed to make sure that in their involvement, your audience members are receiving the benefits of the lessons in the presentation after the fact, not just during the presentation itself. Be in touch with us if you would like to book a program that walks the walk as well as talks the talk in terms of providing examples of teamwork, leadership, and communication in action. Our members have a twenty year track record of experience in the public speaking industry, long preceding the foundation of One Hundred For Haiti itself, with extensive client, bureau, and event planner references available on request.